It is easy to wear your hair down, whether naturally straight or wavy. Embrace that natural texture and add these three extra steps, for a little change in your normal routine. 1) With hair parted just off center, twist the smaller side back and secure with a Bobby Pin. 2) Grab a three inch section of hair from the opposite side, braid and secure with a clear elastic. 3) Softly pull the braid apart, by sliding the elastic up as you pull one strand down. 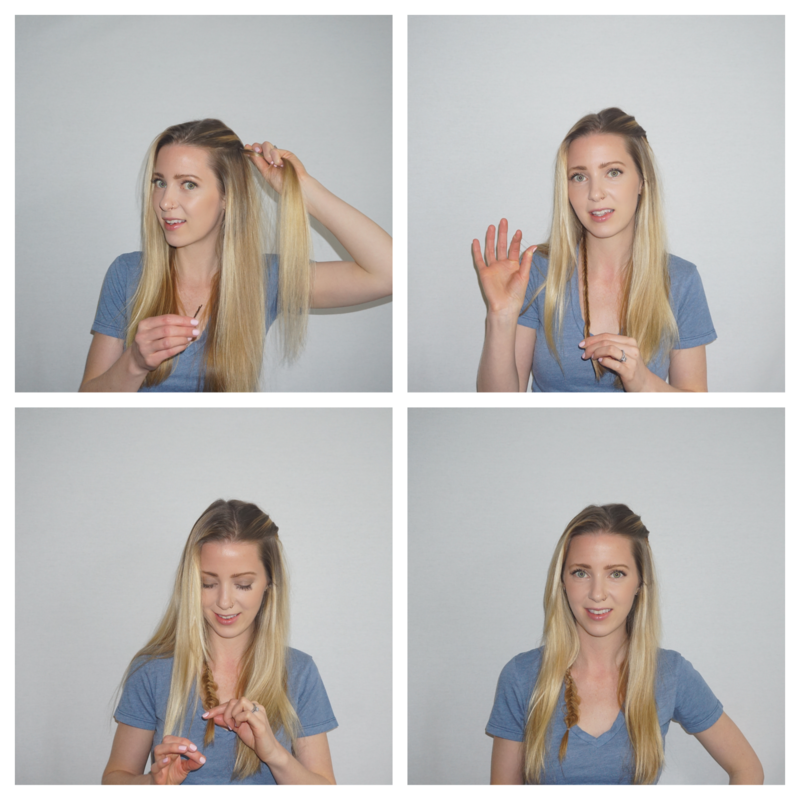 This entry was posted in Hair, Hair Tutorials, Tutorials, Uncategorized and tagged braided hair, do it yourself hair, easy hairstyle, lotd, summer hair, weekend look on July 6, 2016 by ellekinney.